New Jeep Renegades For Sale in Waynesboro | Buchanan Auto Park, Inc.
You can't go wrong with this Jetset Blue Clear Coat 2019 Jeep Renegade. We've got it for $23,742. It has a dazzling jetset blue clear coat exterior and a cloth low-back bucket seats black interior. A Bluetooth enabled vehicle means you can access your electronics hands free. Call today to schedule your test drive! Contact Information: Buchanan Auto Park, 11194 Buchanan Trail, Waynesboro, PA, 17268, Phone: (717) 762-1107, E-mail: dodge@buchananisbetter.com. You can't go wrong with this Glacier Metallic Clear Coat 2019 Jeep Renegade. This one's a deal at $26,959. It has a timeless glacier metallic clear coat exterior and a cloth high-back bucket seats black interior. Interested? Call today to take this vehicle for a spin! Contact Information: Buchanan Auto Park, 11194 Buchanan Trail, Waynesboro, PA, 17268, Phone: (717) 762-1107, E-mail: dodge@buchananisbetter.com. You can't go wrong with this Jetset Blue Clear Coat 2019 Jeep Renegade. This one's on the market for $26,959. It has a dazzling jetset blue clear coat exterior and a deluxe cloth high-back bucket seats black interior. Interested? Call today and schedule a test drive! Contact Information: Buchanan Auto Park, 11194 Buchanan Trail, Waynesboro, PA, 17268, Phone: (717) 762-1107, E-mail: dodge@buchananisbetter.com. You can't go wrong with this Colorado Red Clear Coat 2019 Jeep Renegade. We're offering a great deal on this one at $26,959. It has a beautiful colorado red clear coat exterior and a cloth high-back bucket seats black interior. Call or visit to talk with one of our vehicle specialists today! Contact Information: Buchanan Auto Park, 11194 Buchanan Trail, Waynesboro, PA, 17268, Phone: (717) 762-1107, E-mail: dodge@buchananisbetter.com. You can't go wrong with this Glacier Metallic Clear Coat 2019 Jeep Renegade. This one's on the market for $26,959. It has a sleek glacier metallic clear coat exterior and a cloth high-back bucket seats black interior. Call or visit to talk with one of our vehicle specialists today! Contact Information: Buchanan Auto Park, 11194 Buchanan Trail, Waynesboro, PA, 17268, Phone: (717) 762-1107, E-mail: dodge@buchananisbetter.com. You can't go wrong with this Granite Crystal Met. Clear Coat 2019 Jeep Renegade. This one's a deal at $26,959. A timeless granite crystal met. clear coat exterior and a cloth high-back bucket seats black interior are just what you need in your next ride. This is the vehicle for you! Give us a call today and don't let it slip away! Contact Information: Buchanan Auto Park, 11194 Buchanan Trail, Waynesboro, PA, 17268, Phone: (717) 762-1107, E-mail: dodge@buchananisbetter.com. You can't go wrong with this Black Clear Coat 2019 Jeep Renegade. This one's on the market for $26,959. It has a classic black clear coat exterior and a deluxe cloth high-back bucket seats black interior. This is the vehicle for you! Give us a call today and don't let it slip away! Contact Information: Buchanan Auto Park, 11194 Buchanan Trail, Waynesboro, PA, 17268, Phone: (717) 762-1107, E-mail: dodge@buchananisbetter.com. You can't go wrong with this Alpine White Clear Coat 2019 Jeep Renegade. This one's available at the low price of $26,959. It has a gorgeous alpine white clear coat exterior and a deluxe cloth high-back bucket seats black interior. Don't wait until it is too late! Call today to schedule an appointment. Contact Information: Buchanan Auto Park, 11194 Buchanan Trail, Waynesboro, PA, 17268, Phone: (717) 762-1107, E-mail: dodge@buchananisbetter.com. You can't go wrong with this Granite Crystal Met. Clear Coat 2019 Jeep Renegade. We've got it for $26,959. It has a sleek granite crystal met. clear coat exterior and a cloth high-back bucket seats black interior. Interested? Call today to take this vehicle for a spin! Contact Information: Buchanan Auto Park, 11194 Buchanan Trail, Waynesboro, PA, 17268, Phone: (717) 762-1107, E-mail: dodge@buchananisbetter.com. You can't go wrong with this Black Clear Coat 2019 Jeep Renegade. This one's on the market for $26,959. A dazzling black clear coat exterior and a deluxe cloth high-back bucket seats black interior are just what you need in your next ride. Call today to test it out! Contact Information: Buchanan Auto Park, 11194 Buchanan Trail, Waynesboro, PA, 17268, Phone: (717) 762-1107, E-mail: dodge@buchananisbetter.com. You can't go wrong with this Glacier Metallic Clear Coat 2019 Jeep Renegade. This one's a deal at $27,732. It has a dazzling glacier metallic clear coat exterior and a cloth high-back bucket seats black interior. Make your move before it's too late schedule a test drive today! Contact Information: Buchanan Auto Park, 11194 Buchanan Trail, Waynesboro, PA, 17268, Phone: (717) 762-1107, E-mail: dodge@buchananisbetter.com. You can't go wrong with this Jetset Blue Clear Coat 2019 Jeep Renegade. This one's available at the low price of $27,732. For a good-looking vehicle from the inside out, this car features a beautiful jetset blue clear coat exterior along with a cloth high-back bucket seats black interior. Call and schedule your test drive today! Contact Information: Buchanan Auto Park, 11194 Buchanan Trail, Waynesboro, PA, 17268, Phone: (717) 762-1107, E-mail: dodge@buchananisbetter.com. You can't go wrong with this Alpine White Clear Coat 2019 Jeep Renegade. This one's on the market for $27,982. It has a timeless alpine white clear coat exterior and a cloth high-back bucket seats black interior. Don't regret waiting on this one! Call today to schedule your test drive. Contact Information: Buchanan Auto Park, 11194 Buchanan Trail, Waynesboro, PA, 17268, Phone: (717) 762-1107, E-mail: dodge@buchananisbetter.com. You can't go wrong with this Colorado Red Clear Coat 2019 Jeep Renegade. It has a suave colorado red clear coat exterior and a premium cloth bucket seats black interior. Interested? Call today and schedule a test drive! Contact Information: Buchanan Auto Park, 11194 Buchanan Trail, Waynesboro, PA, 17268, Phone: (717) 762-1107, E-mail: dodge@buchananisbetter.com. You can't go wrong with this Black Clear Coat 2019 Jeep Renegade. It has a timeless black clear coat exterior and a premium cloth bucket seats black interior. Interested? Don't let it slip away! Call today for a test drive. Contact Information: Buchanan Auto Park, 11194 Buchanan Trail, Waynesboro, PA, 17268, Phone: (717) 762-1107, E-mail: dodge@buchananisbetter.com. You can't go wrong with this Glacier Metallic Clear Coat 2019 Jeep Renegade. A ravishing glacier metallic clear coat exterior and a premium cloth bucket seats black interior are just what you need in your next ride. Come see us today and see this one in person! Contact Information: Buchanan Auto Park, 11194 Buchanan Trail, Waynesboro, PA, 17268, Phone: (717) 762-1107, E-mail: dodge@buchananisbetter.com. You can't go wrong with this Black Clear Coat 2019 Jeep Renegade. This one's a deal at $28,773. A beautiful black clear coat exterior and a cloth high-back bucket seats black interior are just what you need in your next ride. Call today and take this one out for a spin! Contact Information: Buchanan Auto Park, 11194 Buchanan Trail, Waynesboro, PA, 17268, Phone: (717) 762-1107, E-mail: dodge@buchananisbetter.com. You can't go wrong with this Granite Crystal Met. Clear Coat 2019 Jeep Renegade. This one's on the market for $28,773. For a good-looking vehicle from the inside out, this car features a stunning granite crystal met. clear coat exterior along with a cloth high-back bucket seats black interior. This is the vehicle you have been waiting for! Call now to schedule a test drive! Contact Information: Buchanan Auto Park, 11194 Buchanan Trail, Waynesboro, PA, 17268, Phone: (717) 762-1107, E-mail: dodge@buchananisbetter.com. You can't go wrong with this Alpine White Clear Coat 2019 Jeep Renegade. This one's a deal at $28,773. A suave alpine white clear coat exterior and a cloth high-back bucket seats black interior are just what you need in your next ride. Call and schedule your test drive today! Contact Information: Buchanan Auto Park, 11194 Buchanan Trail, Waynesboro, PA, 17268, Phone: (717) 762-1107, E-mail: dodge@buchananisbetter.com. You can't go wrong with this Omaha Orange Clear Coat 2019 Jeep Renegade. For a good-looking vehicle from the inside out, this car features a dazzling omaha orange clear coat exterior along with a deluxe cloth high-back bucket seats black interior. Call today and take this one out for a spin! Contact Information: Buchanan Auto Park, 11194 Buchanan Trail, Waynesboro, PA, 17268, Phone: (717) 762-1107, E-mail: dodge@buchananisbetter.com. New vehicle pricing includes all offers and incentives. Tax, Title and Tags not included in vehicle prices shown and must be paid by the purchaser. While great effort is made to ensure the accuracy of the information on this site, errors do occur so please verify information with a customer service rep. This is easily done by calling us at 717-762-1107 or by visiting us at the dealership. All pricing does not include $599.99 in Etch theft protection. 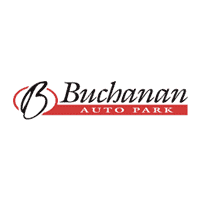 **there is a $2,000 dollar dealer discount on Buchanan prices that only applies if you finance with Buchanan Auto Park. This discount will NOT apply for outside financing or cash purchases.